As teachers we are always creating new ideas, resources and amazing content. This issue I will be sharing with you some of my resources I have accumulated over the past six years. Six years ago I created ClassBreak, since then I have expanded my resources including websites, apps and companies which I am very proud of. 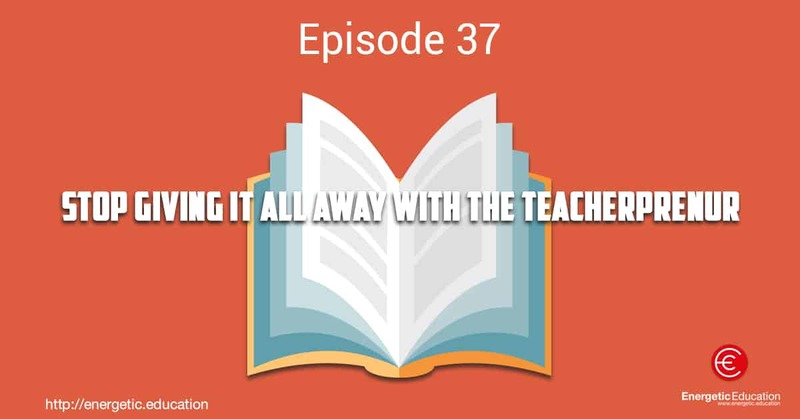 Today’s episode I catch up with The Teacherprenur – Jarrod Robinson. Jarrod has mentored me for the past three years, his knowledge and understanding of teaching technology and business is next level. Jarrod runs a very successful brand called ‘the teacherprenur’, he mentors teachers helping them to expand upon their ideas, knowledge and skill set to create amazing side businesses and resources. Jarrod shares some success stories not only from his own ventures, but from other amazing teachers from around the globe. If you have ever thought about creating an app or eBook with your great ideas, then this is an episode you simply cannot afford to miss.